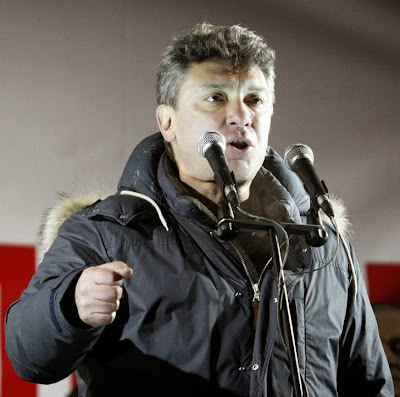 KIEV, Ukraine -- Ukrainian President Petro Poroshenko expressed “shock” at the murder of Boris Nemtsov, a Russian opposition leader gunned down on a sidewalk near the Kremlin overnight, whom he called a “bridge” between their countries. 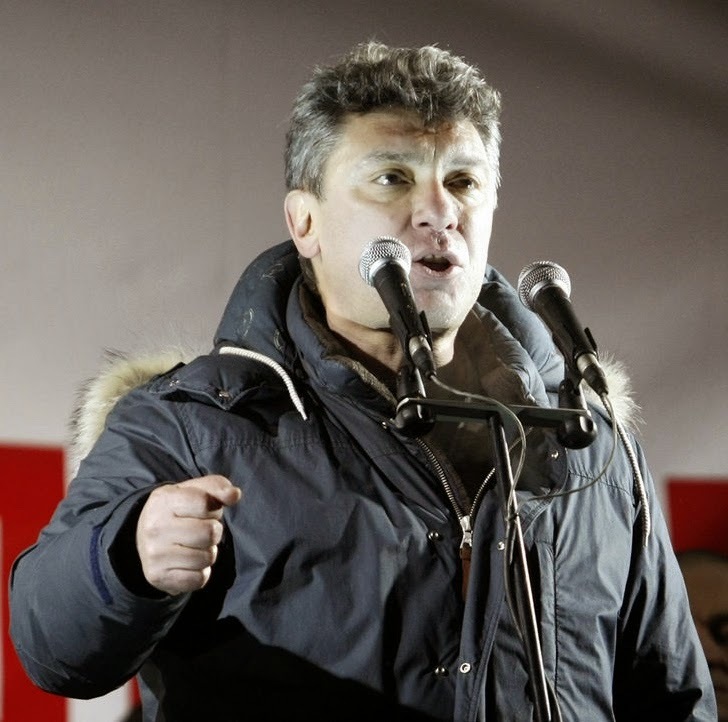 Boris Nemtsov, who was critical of Putin's invasion of Ukraine, was shot in the back from a speeding car. Artillery fell silent for the second time this week as government forces and pro-Russian separatists said they were pulling back weapons from the conflict area in line with a Feb. 12 cease-fire. Nemtsov, an outspoken critic of Russian support for the Ukrainian conflict, had received death threats and was working on a report about Putin and Russia’s involvement, according to Ilya Yashin, an opposition leader. “One of not many I can call friend,” Poroshenko said on Facebook on Saturday. A pause in fighting may give Ukraine breathing space to deal with a spiraling currency crisis and the threat of Russia cutting off natural gas supplies. The European Union and the U.S. have threatened to intensify sanctions against Russia if President Vladimir Putin doesn’t use his sway to help stop the conflict, which has killed nearly 6,000 people and brought ties between the Cold War foes to their lowest level since the fall of the Iron Curtain. Militia in the self-proclaimed Donetsk People’s Republic began a new stage of withdrawing heavy arms Saturday morning, according to the separatist-run DAN news service. “From midnight to this morning, when I arrived at the Ground Forces Academy in Lviv, there were no cases of shelling of our positions,” news service Interfax cited Ukrainian Defense Minister Stepan Poltorak as saying from the western Ukrainian city. The pull-back of heavy weapons is a key part of the cease-fire and is meant to be followed by intensified monitoring by officials from the Organization for Security and Cooperation in Europe. OSCE officials said this week that separatists are still restricting access for their observers. The rebels continue to amass weapons, munitions and fighters, and Russia continues to send them supplies from across the border, Ukrainian military spokesman Colonel Andriy Lysenko said in Kiev on Saturday. Russia, which denies backing the rebels militarily, is seeing “progress” in the conflict, which may be settled gradually if the sides keep the terms of the cease-fire, Foreign Minister Sergei Lavrov said on Friday. Continued fighting in recent weeks has further hurt Ukraine’s currency. The nation is still awaiting a disbursement from a $17.5 billion International Monetary Fund rescue and investors are nearing talks to ease terms on the government’s foreign debt. The hryvnia has plunged more than 40 percent this year amid a deepening recession and international reserves at the lowest in at least a decade. Ukraine’s central bank tightened capital controls this week and announced more curbs may be on the way to stop the currency’s meltdown. “Panic must be stopped and we are doing that now,” National Bank of Ukraine Governor Valeriya Hontareva said on Friday in Kiev. Gas shipments have been another flashpoint in the troubled relations between the two countries. A dispute reignited last week over supplies to rebel-held areas in eastern Ukraine. Russia demanded Ukraine pay extra to meet the cost of supplies to the region, while state-run NAK Naftogaz Ukrainy refused and accused Russian exporter OAO Gazprom of failing to meet its fuel requests. Naftogaz will cut gas imports from Russia to keep the fuel flowing for the next six days as the former Soviet republics prepare for EU-brokered talks in Brussels on Monday. The company will continue pre-paying Gazprom for supplies if the Russian company abides by an Oct. 30 contract, Naftogaz CEO Andriy Kobolyev said on Saturday in Kiev. “This gas dispute is clearly tied to the dynamics of military operations in the east of Ukraine,” said Vasily Kashin, an expert at the Center for Analysis of Strategies and Technologies in Moscow.